The right hosting makes a huge difference in your online success. Whether you’re managing a website, an app or something else entirely, hosting is your cornerstone. 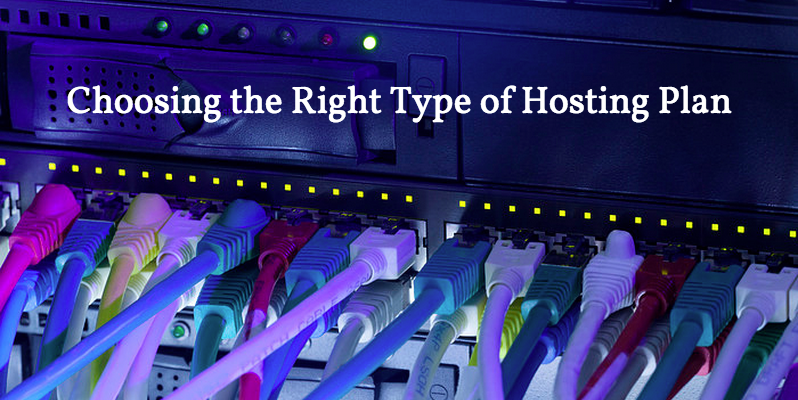 In this post, we will profile each of these four major types of hosting to help you identify what best meets your needs. Shared hosting is generally regarded as being the entry-level hosting option. The plans are nearly always managed by the hosting provider and enforce strict limitations on the client with regard to transfer and storage. Most shared hosting providers also offer very little flexibility, making it nearly impossible to scale your hosting with your needs. VPS hosting is far more advanced than shared hosting but also much more customizable. Virtual servers are created using hypervisor technology on a server, segmenting a single physical machine into many virtual machines capable of acting independently of one another. These virtual machines do share some of the resources of the physical machine, but they also offer a level of flexibility that shared hosting plans are unable to match. In fact, VPS are so flexible that most people compare them to running a dedicated server – minus the hefty price tag. This is the perfect option for anyone who needs to be able to scale their hosting up or down at the drop of a dime. Developers, researchers and even teachers generally choose virtual servers to power their projects. If you feel that VPS may be the best fit for your needs but you’re not quite sure you can handle managing your own server, we do also offer Managed VPS Services here at URPad. Dedicated servers have historically offered the greatest performance of any hosting type. That’s because with these services, the user is literally renting an entire machine. Dedicated server plans offer tremendous flexibility and incredible bandwidth, but they also carry a large price tag. At URPad, we do offer dedicated server plans, both managed and unmanaged, but typically recommend that customers stick with VPS to experience comparable performance at a fraction of the cost. There are certain situations, however, where dedicated servers are the most logical choice. Cloud hosting is often misrepresented – especially by “cloud hosting providers.” The simplest way to explain hosting in the cloud is to say that a user’s content is stored across a network rather than a single server. This network is powered by a cluster of servers linked together by some array. In all reality, cloud hosting is basically an overly-complicated way of creating VPS. The big difference is that rather than having all virtual machines on a single physical server sharing resources from that individual unit, cloud-based servers shared computing resources from all the computers within the array. The major benefit that this offers is greater redundancy, or a decreased likelihood of something knocking users offline. However, VPS technology has been catching up in this realm. So much so, in fact, that many users no longer feel that there is enough of a difference in redundancy between these two hosting types to justify the additional cost of choosing a cloud hosting service. That’s because the additional computers in a network don’t necessarily equate to more power or greater reliability. In fact, we use an array called Raid10 to provide failover support for maximum reliability among our own VPS. As we stated earlier, choosing the right type of hosting service can be a difficult decision. The only way to choose what works for you is to first evaluate your own needs. What are you hosting? How much bandwidth, transfer and disk space are you looking for? Do you expect your project to grow? Will you be running any advanced applications? The questions just keep coming! At URPad, our goal is to help you make your life simpler. If you still have questions about what type of hosting package you need to consider, we can help. Call us directly or use the LiveChat feature on our website to speak with one of our Systems Experts directly. Remember, we are here to help you! This entry was posted in All About VPS, Tutorials and tagged Server Features, Server Functions, Virtual Private Server. Bookmark the permalink. ← Have You Heard About the VENOM Vulnerability?